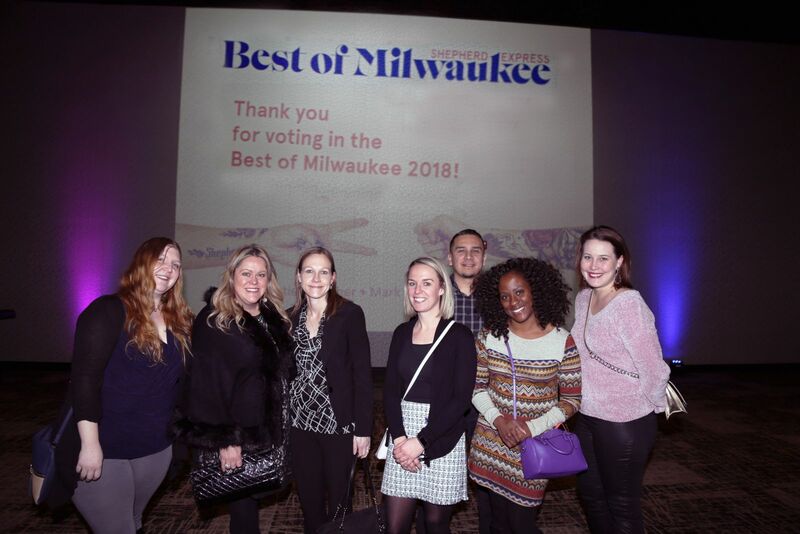 Hupy and Abraham Wins Best of Milwaukee Poll for Eighth Time | Hupy and Abraham, S.C.
On January 22, 2019, the Shepherd Express held its annual “Best of Milwaukee” celebration at Potawatomi Casino. “Best of Milwaukee” 2018 allowed readers of the publication to vote and decide the best vendors and companies the city has to offer. After tallying thousands of votes, the community voted Hupy and Abraham “Best Personal Injury” law firm for the eighth consecutive year. Throughout the evening, nominees and eventual winners of the many eligible categories showcased their products and business to patrons, while winners were announced via a screen display. Hupy and Abraham has been consistently voted best by the public and rated best by legal organizations year after year with the streak remaining steady. The firm has been voted “Best Personal Injury Law Firm” in another Milwaukee poll for over six years. Additionally, Hupy and Abraham was named “Best Personal Injury Firm” in the Wisconsin Law Journal for the past two years. These accolades are just a few of the hundreds acquired over the years. The firm will be celebrating 50 years in April. During this time, Hupy and Abraham has helped over 70,000 injured clients receive over $1 billion in verdicts and settlements. The firm has also contributed more than $1 million to thousands of charitable organizations. With this huge milestone on the horizon, and this recent win in mind, Hupy and Abraham is dedicated in its commitment to both clients and the community for decades to come.